One morning the industrialist Marcel is found stabbed in his room. Eight women are his potential murderers: His wife Gaby, his daugthers Suzon and Catherine, his mother-in-law Mamy, his sister-in-law Augustine, his sister Pierette, the cook Chanel and the maid Louise. The house is isolated in a snowstorm, the phone is dead and one of them has to be the culprit. Mutual suspisions reveal the various secrets in their lives. Ridiculous! I didn't buy this at all! Jeez! Okay, I know its suppose to be a farce on murder mysteries and its all done tongue in cheek but for me it just comes off so silly. 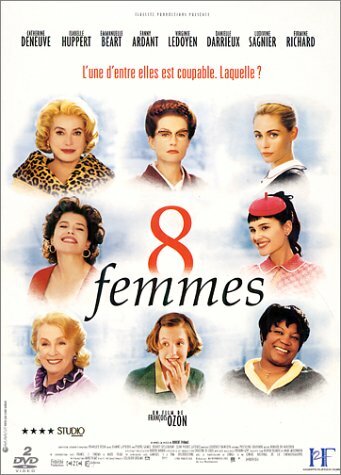 What a waste of great French actress's in a joke of a movie. 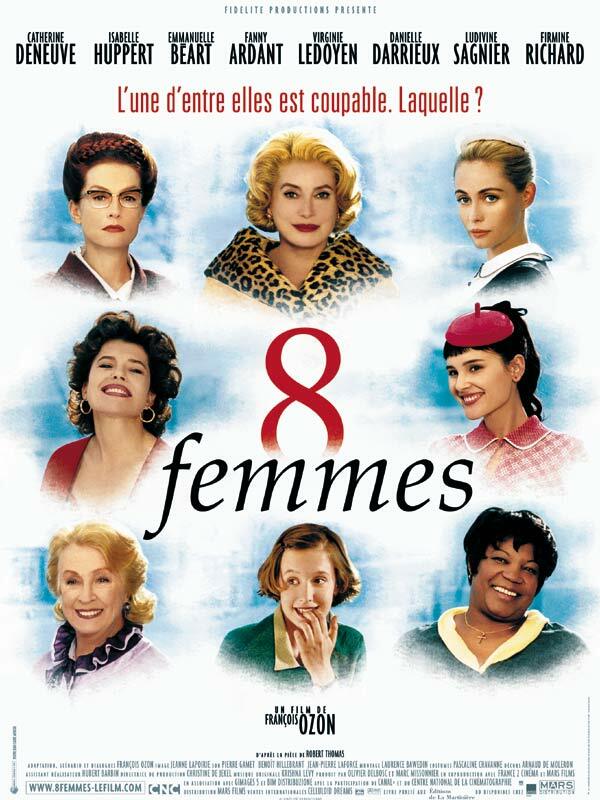 Every plot twist known to man is thrown in this story so by the time Catherine Deneuve and Fanny Ardant start kissing its not shocking. Everything else has been thrown at us by then so its just another plot twist to check off the list! A half hour into the film I was counting the minutes until it would end!